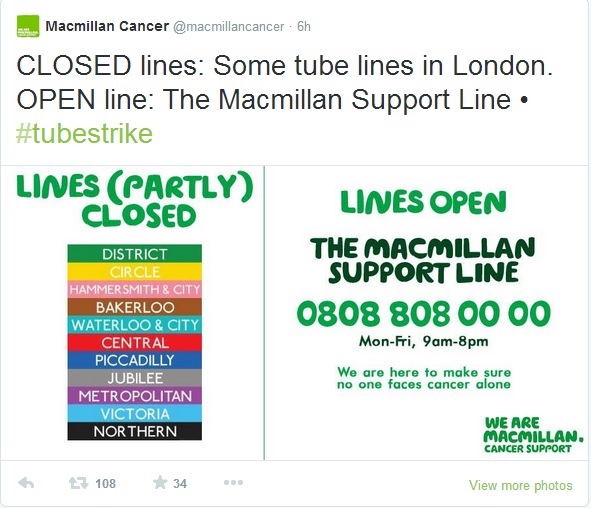 What do charities and a Tube Strike have in common? 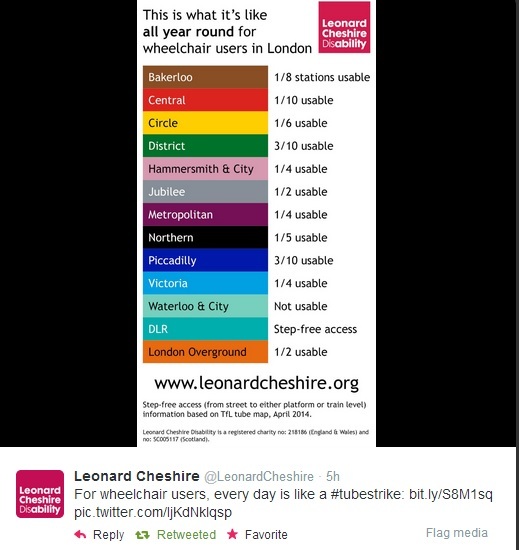 Tube staff are striking over plans to close down a number of ticket offices, leading to job losses of almost 1,000. So what does this have to do with charities? Have you spotted any others? Institute of Fundraising’s National Convention – three days of inspiration! I am very excited to announce that I am an official blogger for the Institute of Fundraising’s National Convention, taking place from 7-9 July at the Hilton London Metropole. I will be joined in my blogging duties by Matt Collins and Lisa Clavering – so in good company indeed! The theme this year is ‘Proud to be a fundraiser’ and along with presentations there will also be social events, such as speed networking, and masterclasses. As a Trustee of the Small Charities Coalition, I am beyond delighted that one of the masterclasses is Focus on Small Charities. Guess which one I’ll be going to! Sessions that have particularly caught my eye are ‘What fundraisers can learn from rappers’, ‘Small charities – how to use your size to your advantage’ and ‘Living the dream with mobile’. Take a look at the programme for the three days here and if you would like to come along, book by 25 April to receive the Early Bird discount. Hope to see you there! Gamification is about using game mechanics, such as rewarding behaviour through badges and creating competition through leader boards, to influence the player’s behaviour. It’s less about game play but rather about the psychology of people’s motivations to act in certain ways. Once we understand how people behave and what motivates them to act, we can create something meaningful to influence their behaviour in a way that is beneficial to us. 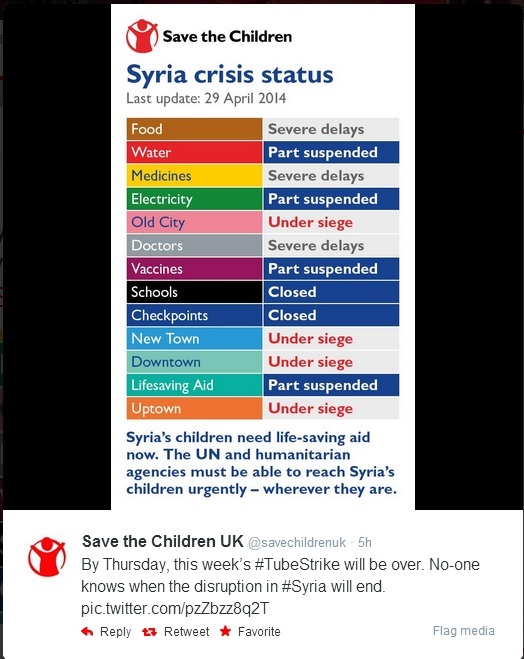 Here is a post I recently wrote for the Guardian Voluntary Sector on five gamification campaigns by Depaul, Save the Children, The Children’s Society and Cancer Research UK. I’m currently working with social innovation company Loop Labs, who are developing a game to inspire adults to drive less and walk more, through the use of pester power, in order to create happier, healthier, safer and more sustainable cities to live in. We’re looking for kids aged 7-11 to give us feedback on designs for the game, Badgerscape. I attended my second BarcampNFP on 20 March on a Volunteer Blogger ticket. For those of you who don’t know, BarcampNFP brings together people from the charity sector with people from Digital and Tech in sectors such as IT, Government, Arts and Culture for one day in an ‘unconference’ format. The idea is that we all collaborate and learn from each other through informal presentations and hands-on workshops. As I had a blogger ticket I live tweeted all my sessions and Storified the day, which you can read here. There were some really excellent sessions and my favourites included ‘The future of charities’, which was facilitated by Anne McCrossan and Matt Collins, ‘The use of digital in storytelling’ by Jude Habib and ‘How bloggers can say the things we can’t’ by Diabetes UK’s Amy Burton. The session that resonated with me the most was ‘How to avoid burnout’. It was a really cathartic session where, it seems, in this digital age most of us find it near impossible to switch off. The 9 to 5 job just doesn’t exist in social media and digital and we had a good discussion about how we are our own worst enemies – checking our organisational social media accounts after hours and over weekends. Some top tips to avoid burnout, that we discussed, were to stop checking emails and social media just before going to bed, to go for a walk (particularly if you don’t take a full lunch break) to clear your head, rest your eyes and get some fresh air and to take up a non-digital hobby (think sewing lessons, knitting club, learning a language, art classes etc). As a result of this session, I vowed to take a step back from my personal Twitter account and removed my account from my iPhone that night. You know that statistic that people check their phone on average 110 times a day? Well, that was me. Heard the new buzzword FOMO (fear of missing out)? Well, that was me too. I love working in social media and helping my clients with their strategy and implementation but I have finally realised that I don’t personally need to always be tweeting every minute of the day to connect, to engage, to share and to learn. Since I have removed my personal Twitter from my iPhone, I have been more mindful. I have been able to dedicate more time to non-digital hobbies as well as to volunteer more time to causes I really care about. I go for walks during my lunch break and I am amazed by the things I notice when I’m not tweeting, checking emails or Instagramming. And I feel so much better for it. I’d love to hear your thoughts, as well as tips, on avoiding burnout so please comment below.